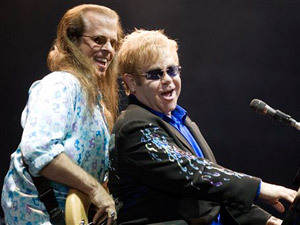 Pounding his piano in blue-tinted sunglasses before nearly 50,000 screaming fans, Elton John took center stage in a battle over Israel's image. The legendary British rocker's concert on Thursday night followed a string of cancellations by artists like Elvis Costello and the Pixies. Resisting a growing wave of calls from pro-Palestinian activists to boycott the Jewish state, John gave Israelis a rare reason to smile amid their increasing sense of international isolation. "Ain't gonna stop me from coming here, baby," he told the cheering crowd in Tel Aviv, saying he believed music should spread peace and bring people together: "That is what we do. We do not cherry-pick our consciences, OK?" he added, in an apparent swipe at the artists who have canceled concerts in Israel. John's concert was notable precisely because Israel seems to be losing the battle against the country's isolation worldwide. That isolation was exacerbated after Israel's May 31 naval raid on a flotilla trying to break the blockade of Gaza spiraled into violence that left nine Turkish activists dead in a clash with troops. Ecuador, South Africa and Turkey recalled their ambassadors and Nicaragua broke off diplomatic relations following the raid. Vietnam put off a visit by Israel's president, Greece suspended a military exercise and Swedish dockworkers launched a weeklong boycott of Israeli ships and goods. Even the United States, Israel's closest ally, criticized the raid and forced Israel to set up a panel with two foreign observers to investigate the raid. Many in Israel, including in the country's leadership, have concluded that the war over world opinion is lost, said Israeli commentator Ronen Bergman. He said the "siege mentality" mindset was dangerous, particularly for a nation seeking to rally world support against what Israel sees as an existential threat — Iran's nuclear program. Many in Israel blame the country's public diplomacy mechanism for not explaining itself properly and for being outmaneuvered in the media, but Bergman said this largely misses the point. "The problem is not with the marketing. The problem is with the product and the product is damaged. 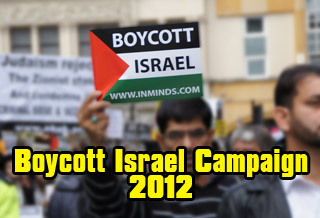 You can't market occupation," Bergman said, referring to Israel's 43 years of control over the Palestinians. A small French cinema chain postponed a showing of an Israeli comedy and replaced it with a documentary about an American student crushed to death by an Israeli army bulldozer during a 2003 Gaza protest, drawing condemnations from some French newspapers and French Culture Minister Frederic Mitterrand. Israeli singer Dana International was scheduled to perform at a gay pride parade in Spain, but saw her concert canceled due to pressure from pro-Palestinian organizations. Musicians like Costello and the Pixies bowed to online pressure and canceled gigs in Israel. John was targeted as well, but vowed to play on. "I have always believed that music inhabits a world set apart from politics, religious differences or prejudice of any kind," he said in a statement before coming to Tel Aviv. Amid the swell of condemnations that have followed the flotilla deaths, Israel has tried to fight back by posting video clips showing its soldiers being attacked by the Turkish activists and reaching out to individuals around the world to help present its case. A group of Israelis posted a hit YouTube clip — viewed by more than 2 million people — parodying the flotilla activists as terrorists posing as peace activists. "We Conned the World," they sang with weapons in hands, to the tune of "We Are The World." But those efforts seem to have had little effect, and that, in turn, has led many Israelis to feel that getting a fair shake internationally has become a lost cause. "There is a point where even Israelis who are critical of their government say, 'The world has gone mad and the fact that everyone thinks one thing doesn't make it right,'" said Eytan Schwartz, an Israeli activist who launched a Facebook campaign to urge John not to cancel his appearance. "We earned a lot of the criticism, but it is not about that," he said. "This is about a double standard, about being hypocritical." Former dovish lawmaker Yossi Beilin said Israelis should be glad they are held to a higher standard. 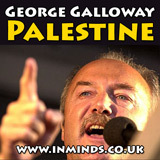 "God forbid if people would look at Israel the way they look at Pakistan or Somalia or Sudan or Kyrgyzstan," he said. Public polls showing support for the government's handling of the flotilla affair and the rejection of its critics highlights the gap between how the Israeli society views itself and how the rest of the world does. Israelis overwhelmingly see the naval blockade of Gaza, aimed at keeping weapons from reaching the territory's Hamas militant rulers, as justified. To most, the flotilla was a violent provocation that endangered the lives of soldiers sent to stop the Gaza-bound boats. Israeli efforts to divert the international discussion from the occupation of the West Bank and the blockade of Gaza have largely failed. Israel's leadership now seems to be changing course. On Thursday, the same day Elton John performed, Israel agreed to ease its land blockade on Gaza and allow more goods in. Defense Minister Ehud Barak told Prime Minister Benjamin Netanyahu that Israel must present a "daring and assertive political initiative" to emerge from its isolation, Barak's office said. Beilin, a veteran peace negotiator, said Israel's isolation was even more acute in the 1970s and improved only when it made peace with Egypt in 1979. He said the current situation was reversible with a sincere peace effort. "The fact that we are so isolated needs a solution and the solution will not be by telling ourselves that we are OK," he said. "If we do not initiate something with the peace process, we are doomed."